I arrived at the Baltimore Museum of Industry on a very blustery morning. I had no idea what to expect while walking toward this imposing edifice and 100-foot-tall crane that stands proudly over the campus entrance. Inside, I met up with Claire Mullins, the museum’s Director of Marketing and Events, who said my guide was currently with a school group. This gave me the opportunity to eavesdrop on the various groups crisscrossing the building, learning about the fascinating history of industries with their roots in Baltimore. “Each year, more than 70,000 Maryland school children participate in our hands-on programs, outreach initiatives, interactive tours, and exhibits,” Mullins told me. This huge center – nearly 35,000 sq. ft. of exhibit space – is jam packed with colorful, informative displays and re-creations of everything from a classic diner to a Crown Petroleum filling and service station – replete with a Packard classic car from the period. A large hallway features floor-to-ceiling displays of many of the products and services that had their beginnings in Baltimore. There’s America’s first railroad – the Baltimore & Ohio; the first gas company – Baltimore Gas & Electric, which also produced the first street light; and Stieff Silver, America’s oldest silversmith . Black & Decker, the Ouija Board, linotype printing machine, and of course Old Bay– all began in Baltimore. Both the umbrella and the hat were invented here, too. The list goes on and on and reading about and experiencing it here is fascinating. I caught up with a school group being led by one of the museum educators. They were inside the very large, working replication of a print shop and the guide was explaining how long ago each letter of type was set by hand. These children were enthralled by all they were seeing and learning! Now it was my turn to take my tour. John Green, a retired high school English teacher and coach, and now Senior Museum Educator, introduced himself and off we went. We began in the oldest part of the museum – built as an oyster cannery in 1865 by Landra Beach Platt. When opened, it was one of six area canneries that grew to more than 100 by the turn of the century. It was the perfect location – nestled along the banks of the Patapsco River in the heart of South Baltimore, just 14 miles down river to the Chesapeake Bay and then on to the Atlantic Ocean where product could be shipped worldwide! Platt’s cannery was unique. While most merely filled cans, Platt and Company manufactured the cans, printed and applied the labels, and shucked the oysters as well. Interestingly, the labels were mostly pictures of the product, as many people at that time were unable to read. At any given time, about 500 people worked there – most of them unskilled labor . Laborers got paid by what they produced. Shuckers could stand at their station in the shucking shed for 10 hours a day. There was no heat and the work was hard. For each nine-pint bucket they filled, they earned an average of six cents. They were paid in tokens which could be redeemed for food and goods at the company store. In the off season, the workers canned fruits and vegetables. Next, we stopped at the working blacksmith shop, where a volunteer blacksmith gives demonstrations on Saturdays. Metalworking had been around for more than 3,000 years and the skilled blacksmith was held in high regard, making tools and other necessities made of iron, such as cast iron skillets. Apprentices would begin learning the trade at the age of eight or nine. The machine shop tour began with an in-depth recount of the devastating Baltimore fire of February 4, 1907, which burned out of control for 33 hours, took a week to fully extinguish, and destroyed 1,500 buildings. This is where the machine shop came up to full speed. During the height of the fire, Baltimore’s mayor called Washington, New York and Philadelphia fire departments and asked for help. Firefighters and equipment were loaded onto trains and quickly dispatched to help out in Baltimore. When they arrived, however, they found that the hose fittings on each city’s equipment did not fit Baltimore’s. As a result, a law was passed that standardized the fittings for all fire departments. And then my guide demonstrated how the pattern lathe we stood next to could cut new threads in the exact same pattern required. He also explained how the machine shops originally ran on water power, making Hamden and Woodberry by the Jones Falls, and Ellicott City on the Patapsco, ideal locations for these shops. In the garment loft I learned about the history of the garment industry and how it became Baltimore’s largest industry – employing one in every four Baltimoreans. And it was the Civil War that really gave it its start. Before the Civil War, women in Fell’s Point made what was called a “slop” – a loose-fitting shirt worn mostly by sailors who didn’t much care about fit. When the war broke out the soldiers needed fitted uniforms, so the garment industry was born. And, with Maryland a border state between North and South, they produced uniforms for both armies. The back stories and colorful asides, along with print and machine demonstrations by my very educated guide, were invaluable! I learned that a man named George Bunting – wanting to help his customers with sunburn and eczema – invented a soothing salve. When a grateful woman came back to tell him the cream “knocked my eczema,” Noxema was born! 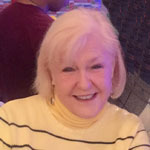 Following my visit to the amazing Baltimore Museum of Industry, I can enthusiastically tell you – visit!!! Allot at least half a day; take a guided tour if you can. The education ambassadors are phenomenal and welcome your questions. Make sure your battery is fully charged to take pictures and take your kids, siblings, parents and acquaintances. They will thank you. 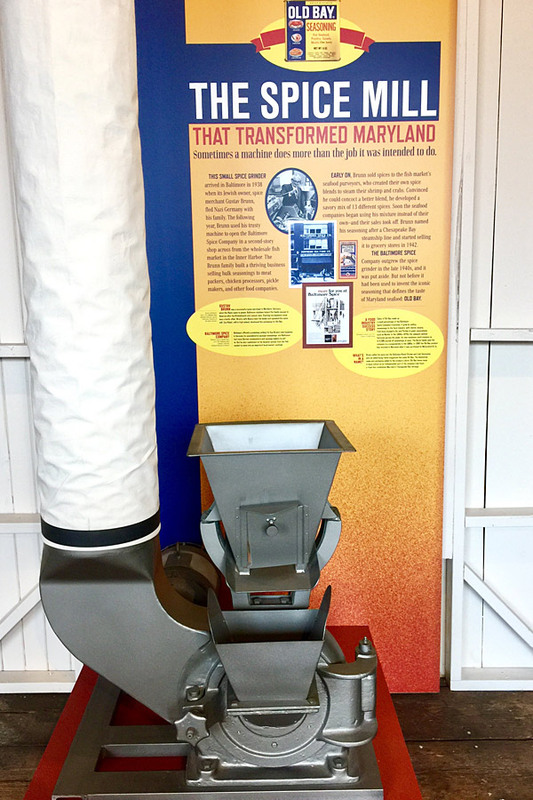 The Baltimore Museum of Industry collects, preserves, and interprets the industrial and technological heritage of the Baltimore region by presenting educational programs and exhibitions that explore the stories of Maryland’s industries.